For the next few months, environmentalists are traveling the length of an oil pipeline in Michigan. They hope to convince government officials to shut it down. Shouting “Remember the Kalamazoo”, protesters made their position clear during a mock oil spill drill along the St. Clair River a few days ago. They want Enbridge’s Line 5 pipeline to shut down. The pipeline snakes its way through Michigan, including crossing the Mackinac Straits. U.S. and Canadian government agencies took part in a mock oil spill drill along the St. Clair River just south of Port Huron today. With temperatures in the low 80s and a light breeze, it was a lovely day to respond to a fake disaster. But while a few first responders spent a sunny day on boats in the river, most of the more than 200 people taking part in the exercise spent their time indoors dealing with a scenario for a fictional disaster that included the need to corral thousands of barrels of oil leaking from Enbridge’s Line 5 pipeline. 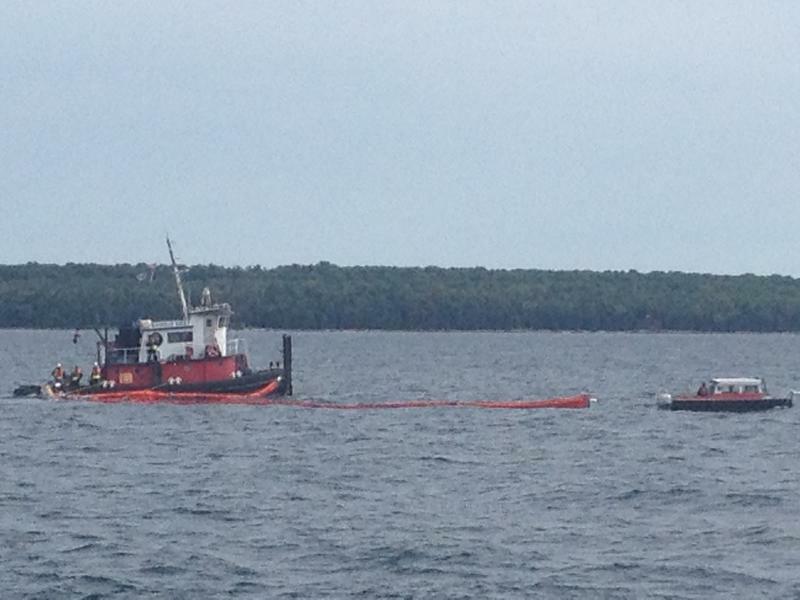 Government agencies will practice responding to an oil spill from a pipeline crossing the St. Clair River tomorrow. The pipeline passes beneath the St. Clair River just south of Port Huron. The drill will involve a simulated 13-minute, 5,000-barrel oil spill. 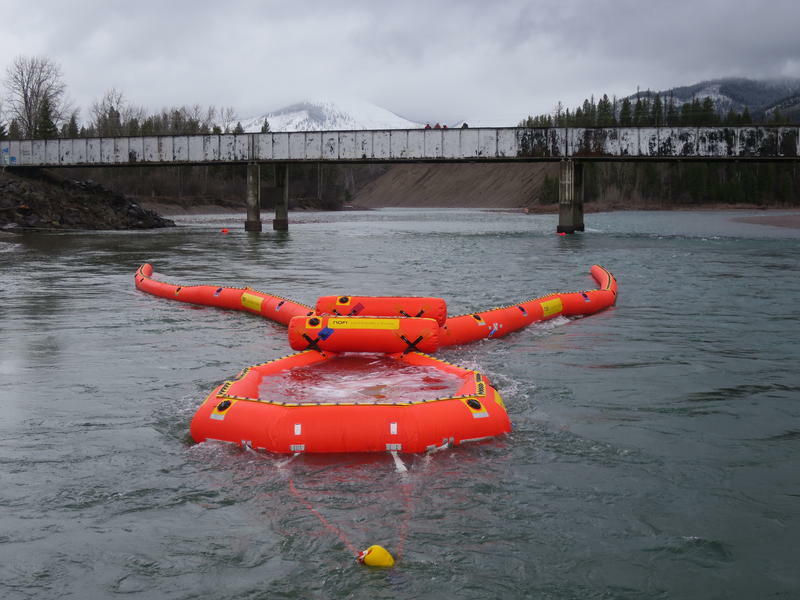 The exercise will involve boats in the river and absorbent booms in the water, all to corral and collect fictional oil leaking from the pipeline. The drill involves government agencies and the pipeline’s owner, Enbridge. The National Wildlife Federation is suing a federal agency over safety concerns about an oil pipeline running under the Straits of Mackinac. 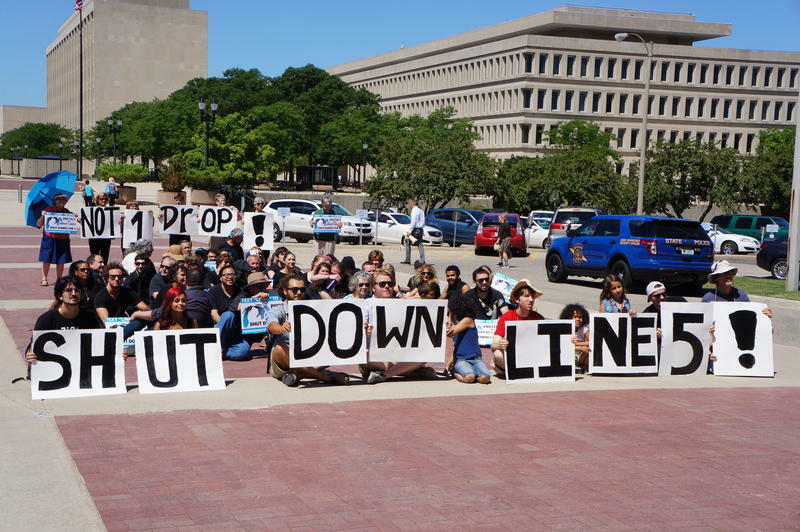 Line 5 is operated by Enbridge Energy, the company responsible for a massive oil spill in the Kalamazoo River in 2010. A Michigan oil spill is still bringing in new questions, even after its events took place over 30 years ago. It was around 1980 when Canadian oil transport company Enbridge leaked five barrels of oil into the Hiawatha National Forest. However, they were only able to clean up four of the barrels, leaving the area contaminated to this day. The same company owns 63-year-old pipelines that run under the Straits of Mackinac, causing concern over the safety of Michigan's shorelines. Detroit Free Press reporter Keith Matheny joined Cynthia Canty on Stateside to understand why this spill still matters today. There are some new questions bubbling up concerning a decades-old oil spill in the Upper Peninsula. Around 1980, Canadian oil transport company Enbridge discovered its Line 5 oil pipeline had sprung a leak and spilled an estimated five barrels of oil in the Hiawatha National Forest. Yes, that’s the same Line 5 whose twin pipelines run under the Straits of Mackinac. 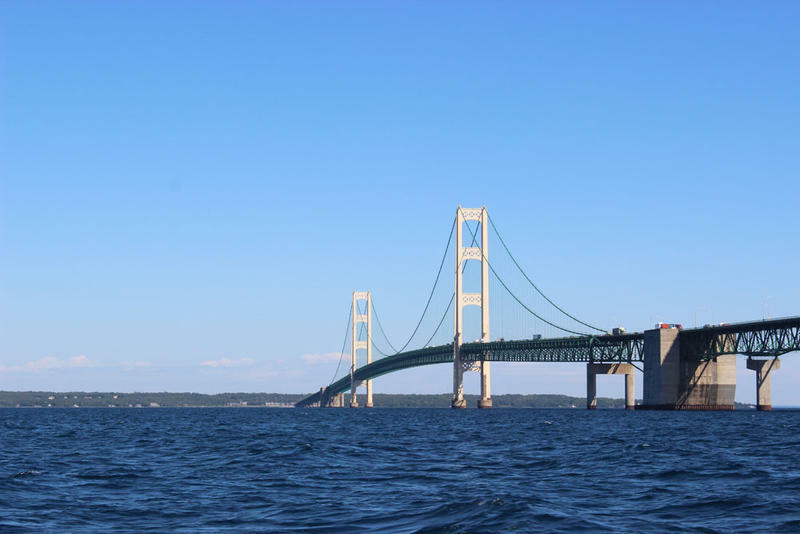 A new bill in Congress would shut down an oil and gas pipeline beneath the Straits of Mackinac, if a study shows it's a significant risk to the Great Lakes. Michigan Congresswoman Candice Miller introduced the Great Lakes Pipeline Safety Act on Wednesday. 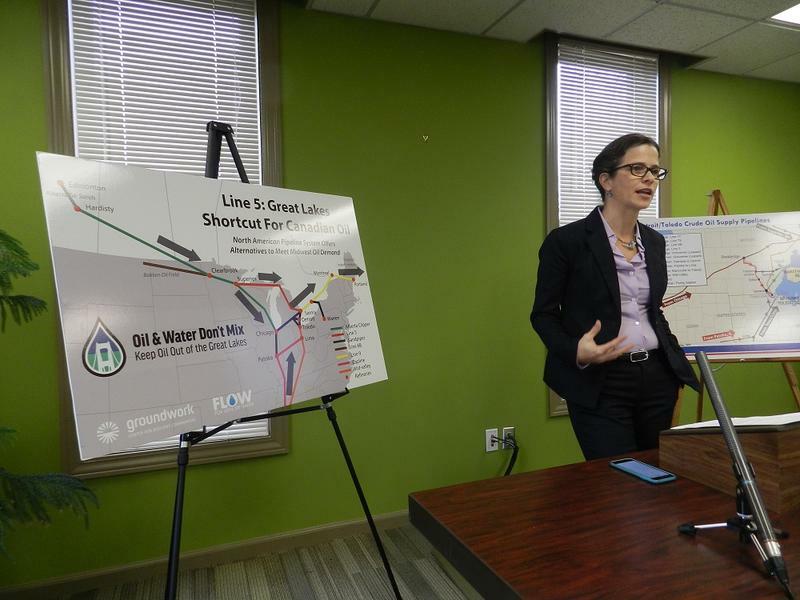 The legislation calls for a comprehensive analysis of the environmental and economic threat that Enbridge's Line 5 pipeline poses to Great Lakes waters. 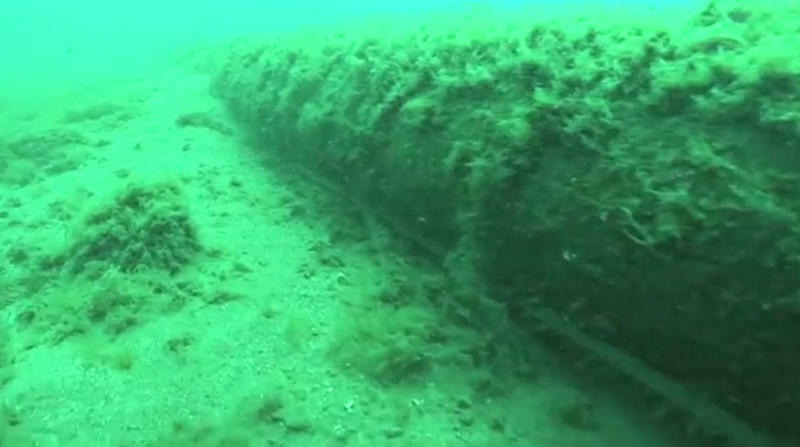 There's a more-than-60-year-old underwater pipeline that crosses the Straits of Mackinac. It's called Line 5, and is operated by Enbridge, the company responsible for the largest inland oil spill in U.S. history. The 2010 spill resulted in the release of about a million gallons of crude oil into the Kalamazoo river. A new film follows a pair of Grand Rapids natives on their "fossil fuel-free" journey along the pipeline's 500-mile route. It's called Great Lakes, Bad Lines. Filmmaker Paul Hendricks joins us to talk about the film. Several environmental groups and tribes say Enbridge Energy is operating its oil pipelines under Lake Michigan illegally. They sent a letter to Governor Snyder, Attorney General Bill Schuette, and others calling for the immediate shutdown of the twin pipelines. The Oil & Water Don’t Mix campaign put together a list of what they say are eight violations of the state’s easement with Enbridge. 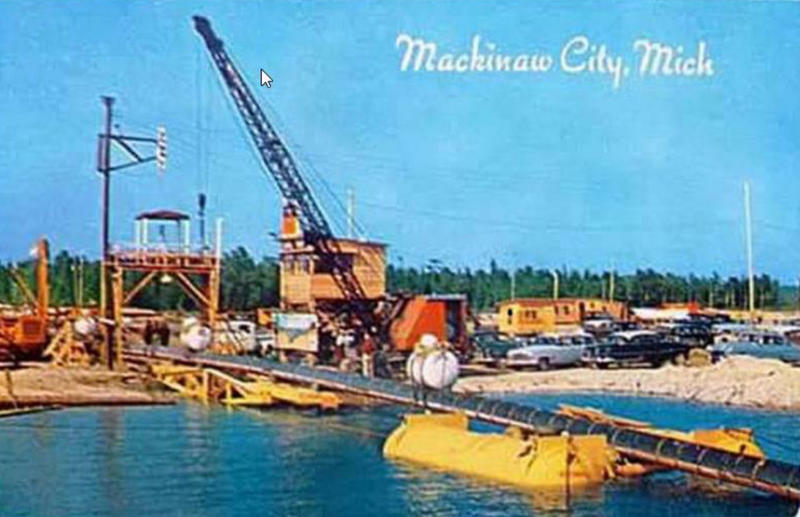 Back in 1953, the state allowed the pipelines to cross the Straits of Mackinac under this legal contract. An upcoming state senate bill would curb new oil pipelines in the Great Lakes. Senator Rick Jones, R-Grand Ledge, says he'll introduce legislation this week that would block new pipelines from running through Great Lakes waters. The bill would also require existing lines to undergo a third-party safety review – including Enbridge's Line 5 beneath the Straits of Mackinac. Jones says his bill would shut down the 63-year-old line, and others, if the safety review deemed it unsafe. The state of Michigan is extending the deadline for bids to study an oil and gas pipeline that runs along the bottom of the Straits of Mackinac. The pipeline is known as Enbridge Line 5. 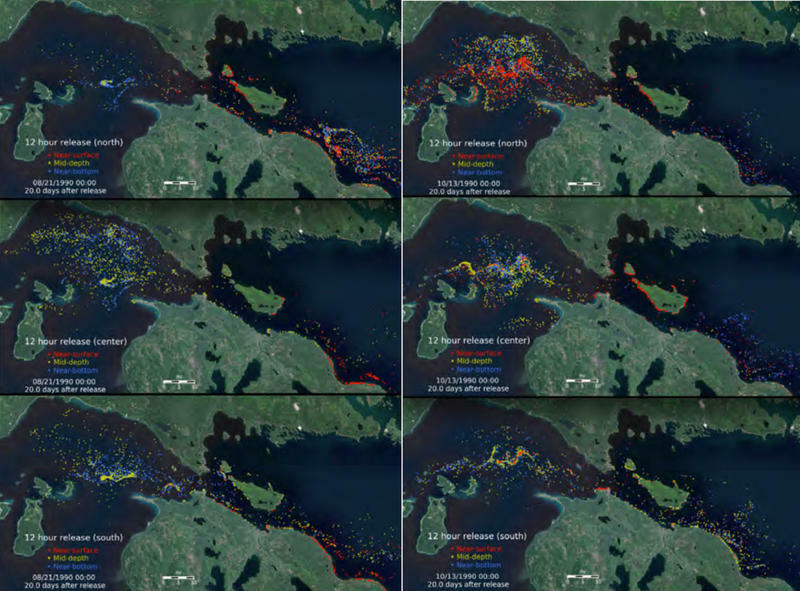 The study will include a risk analysis of the 60-year-old pipeline, and alternatives to shipping oil and gas beneath the Straits of Mackinac. 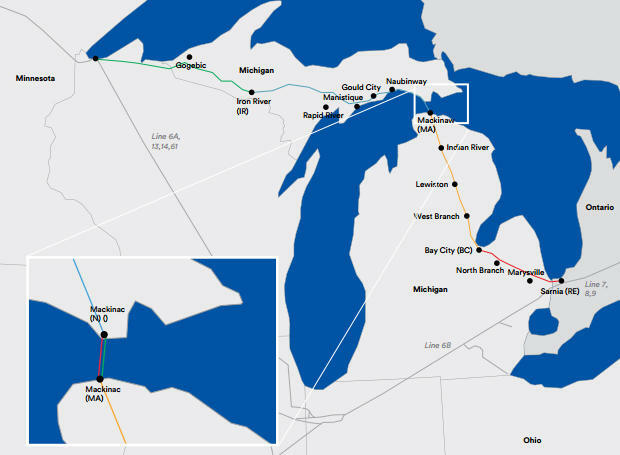 Enbridge Energy’s Line 5 goes right under Lake Michigan at the Straits of Mackinac. At the Straits, it splits into two pipelines. 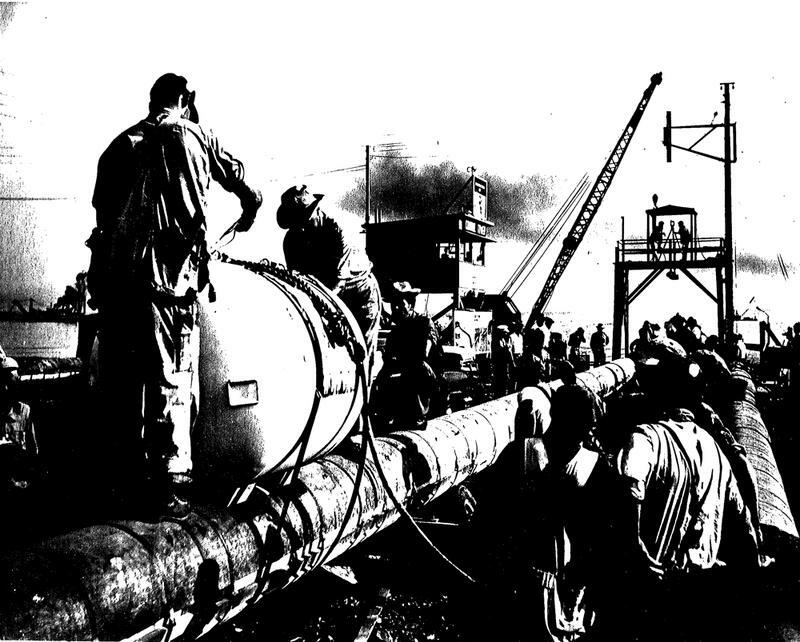 Both pipelines are 63 years old (they were installed in 1953). Right now, we don’t have all the information about the condition of those pipelines. As we’ve reported many times, Enbridge holds all the cards. The company has shared some information with the public, but not a lot. U.S. 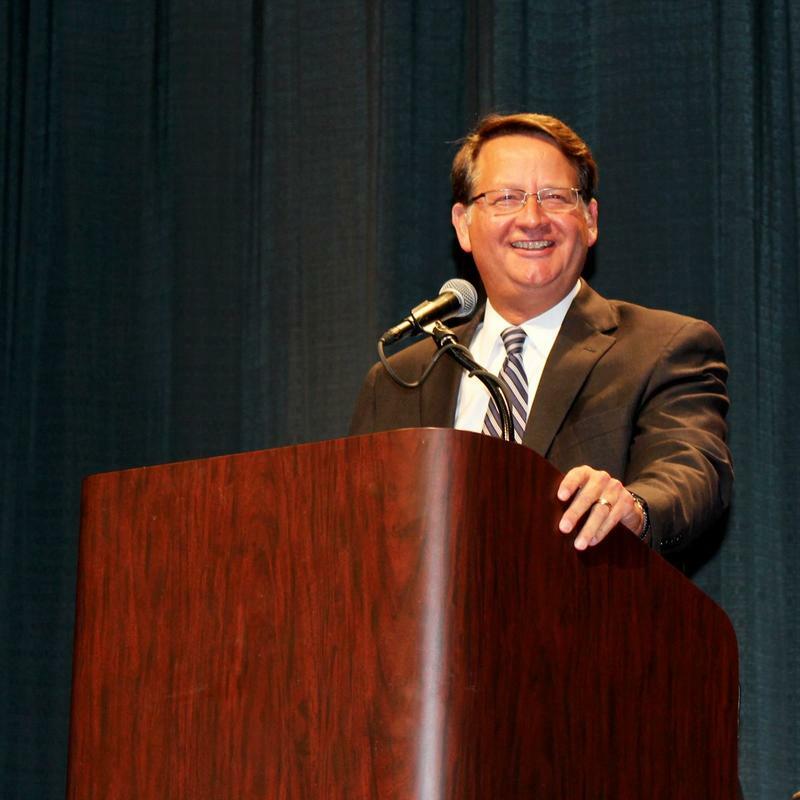 Senator Gary Peters (D) has two big projects on his plate in an effort to strengthen protections for the Great Lakes and provide funding for the city of Flint in the wake of the water crisis. 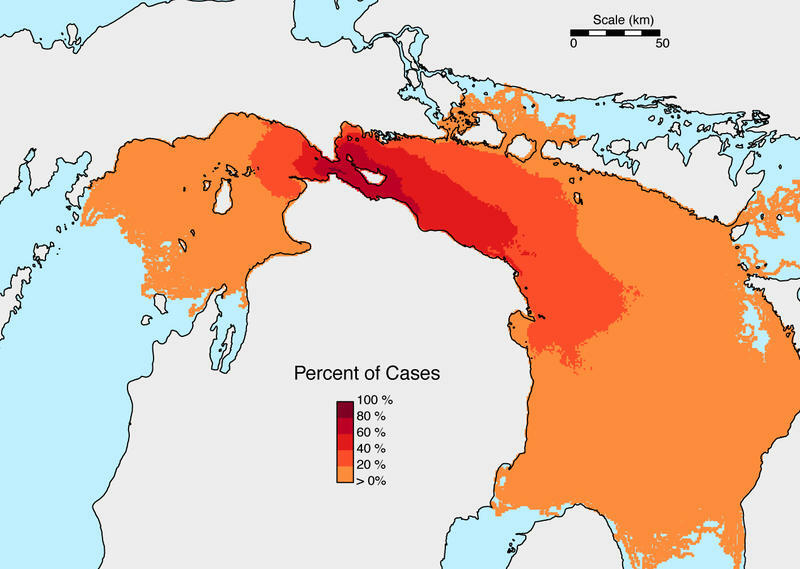 The U.S. Senate recently gave unanimous approval to a funding bill that includes important protections for the Great Lakes. The bill re-authorizes the Pipeline and Hazardous Materials Safety Administration (PHMSA), which is the federal agency that oversees pipelines. 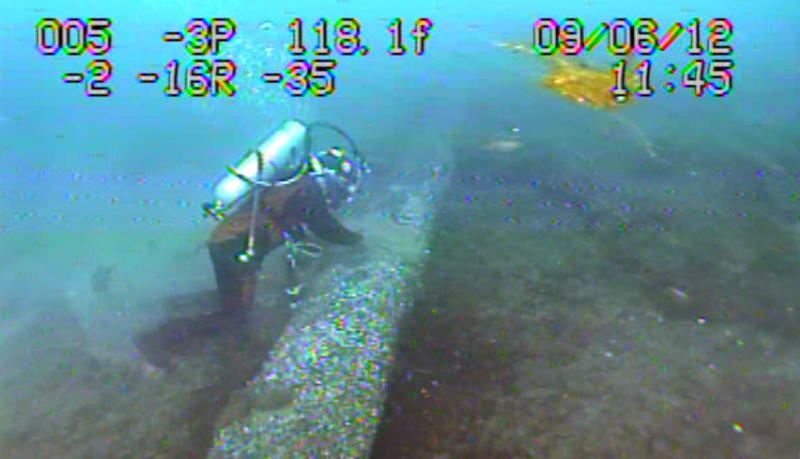 Recently released information about the condition of Enbridge’s Line 5 oil pipelines in the Straits of Mackinac shows some signs of corrosion. But company officials continue to say the twin pipelines running under Lake Michigan are safe. 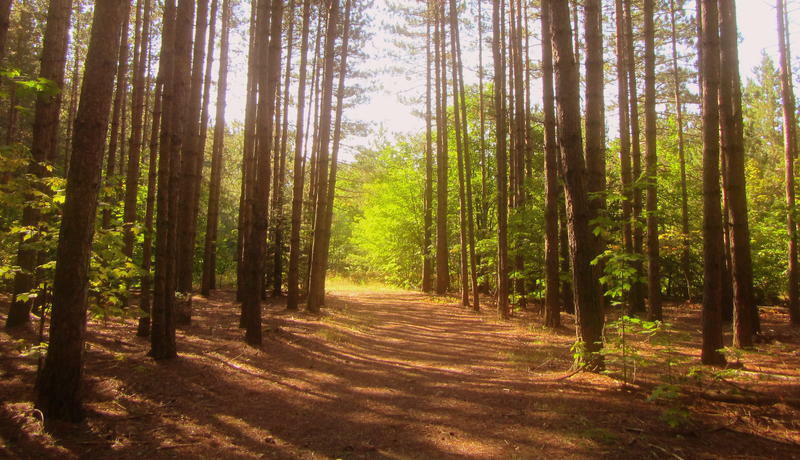 A federal judge has ruled in favor of Enbridge Energy and the federal government in a lawsuit brought by the Sierra Club over a pipeline running through Michigan state forest land. According to the Sierra Club, Enbridge ought to have been required to carry out a full environmental impact analysis for the pipeline in 2014 when it took out a new permit. People are more worried than ever about the possibility of an oil spill from Enbridge's Line 5 pipeline under the Straits of Mackinac, after the company caused the worst inland oil spill in U.S. history when another of its pipelines, 6b, ruptured in 2010, spilling at least 800,000 gallons of tar sands oil into the Kalamazoo River. The cleanup took three years. 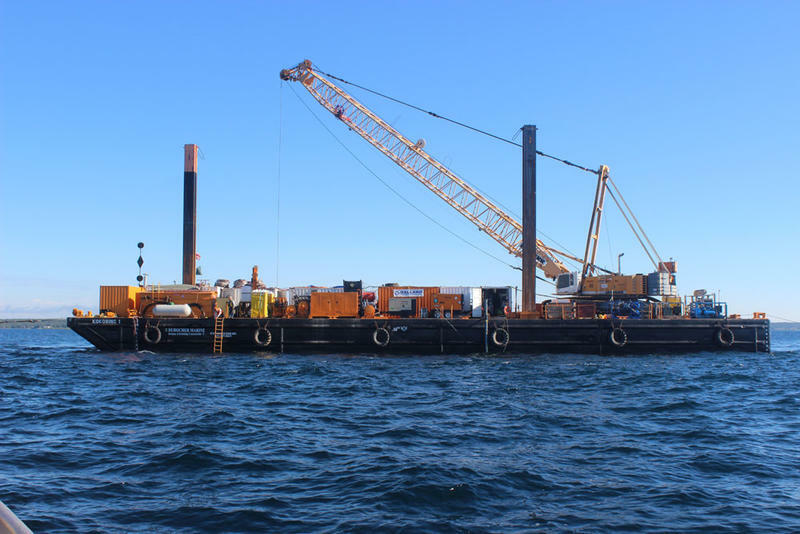 Enbridge Energy’s Line 5 oil pipeline has lain deep under the water in the choppy Straits of Mackinac for more than 60 years. Over the decades, Line 5 has fed billions of barrels of light crude oil and liquefied natural gas into the lower peninsula of Michigan. Yet there has never been a drill to test the region’s readiness for a spill from a leak or rupture of the pipe. MACKINAW CITY, Mich. (AP) - Environmental activists are planning events during the Labor Day Mackinac Bridge Walk to call attention to a number of issues, including a controversial oil pipeline in the area. A group called We Protect Mother Earth says its protest will feature speeches and a drumming ceremony. It will begin around 9 a.m. Monday at the St. Ignace Welcome Center on the north side of the bridge, where thousands of people will be taking part in the annual holiday walk. 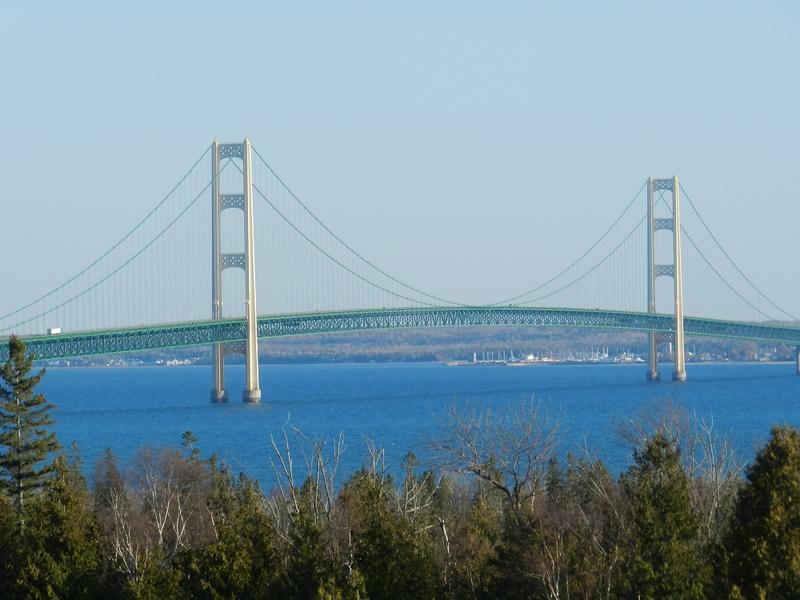 The state of Michigan has signed a deal with Enbridge Energy that heavy crude oil will not be shipped through a pipeline that runs beneath the Straits of Mackinac. But the agreement doesn’t change anything as far as protecting the Great Lakes. Enbridge Line 5 wasn’t built to carry heavy crude oil and never has. In 2010, we were given a pretty good reason to care about how companies maintain the 3,280 miles of hazardous liquid pipelines crisscrossing our state. Being the state that suffered through the worst inland oil spill in U.S. history has that effect. So people perked up when they found out that Enbridge, the company responsible for the Kalamazoo River oil spill, owns another pipeline that travels under Lake Michigan at the Straits of Mackinac. 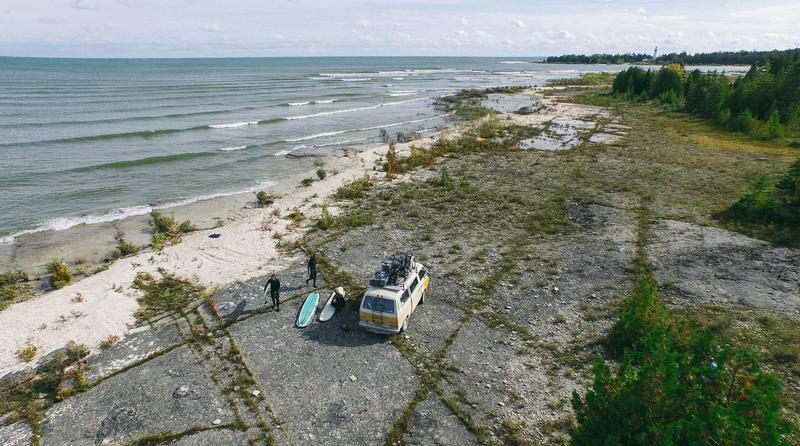 If Michigan has a “crown jewel,” this area might be it. Dozens of protesters rallied at the state Capitol on Thursday against an aging pipeline under the Straits of Mackinac. The group delivered a letter addressed to Gov. Rick Snyder and Attorney General Bill Schuette demanding that the pipeline be shut down.